CHICAGO, IL – January 17, 2017 – TBI has climbed two spots on XO Communication’s list of highest-performing national technology distributors. Throughout 2016, the master agent grew sales more than 30%, thereby improving its sales rank within the XO partner program from the fourth largest to the second largest distributor. In 2016, TBI contributed significantly to the sales growth of XO’s services to office buildings that have been recently connected to its advanced fiber communications network. In addition, TBI expanded the diversity of its sales partners resulting in new contracts to customers across a wide variety of industry sectors, including finance, healthcare, education and hospitality. The award-winning XO channel program provides sales, technical, service and support to empower the success of distribution partners in all stages of the sales process, service delivery and ongoing account maintenance. Moving forward, XO and TBI are aligned in a way that will allow for continued rapid growth. 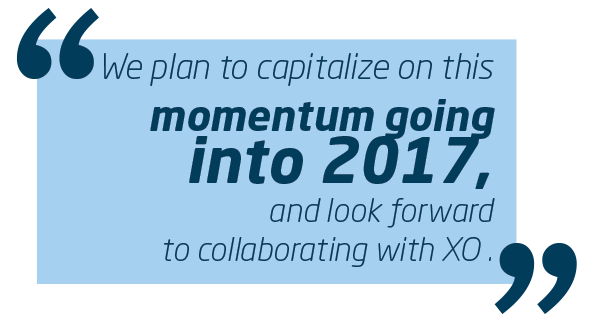 Through combined efforts, the two businesses seek to provide improved sales enablement and support for partners selling XO products in 2017. TBI looks to build on this relationship, contributing further to the success of the XO Partner Program and XO’s “On-Net” fiber deployment in the coming year. TBI is the nation’s leading third-party technology distributor. Since 1991, it has assisted Systems Integrators, VARs, MSPs, IT consultants and more in advising and sourcing the right technology solutions. TBI serves as a partner’s advocate, ensuring the proper provisioning of cloud, Internet, data, mobility, voice, and managed services from best-in-class service providers to achieve clients’ desired business outcomes. Through training and marketing programs focused on the benefits of technology to the business, TBI empowers its partners to be the foremost authority to advise and source all of their clients’ technology needs. With the largest back-office in the industry, TBI partners are fully supported by certified solutions engineers, pre- and post-sales operations, and project managers. For more information, visit www.tbicom.com.